Filzmoos is situated 76 km. north-east of Kaprun. 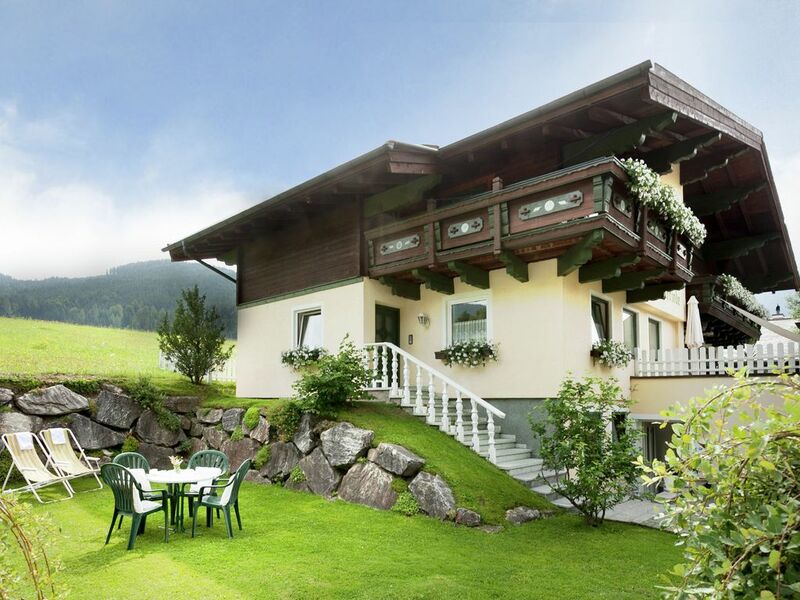 Elfriede is an attractive country house that is peacefully situated in a sunny location at a height of 1000 m., 4 km. from Filzmoos in the hamlet of Nueberg. As the property is set against a mountain the AT-5532-02 is on the ground floor (seen from the valley side this is the 1st floor). The AT-5532-02 has a terrace. The AT-5532-01 is on the 1st floor and has a balcony. There is a communal sunbathing area (grass) with garden furniture and a barbecue. Extra: Sandwichservice (payment required, to be arranges on site). Quiet location away from traffic with a beautiful mountains view, logistically close to the major attractions of Salzburg (Salzburg, spas, caves of ice, bidonvie) Uncomfortable to buy things that are missing in the house since it is 6 km away from the town center then always forced to "use the machine also semplicememnte for a stroll downtown. We have a lovely week with beautiful weather. The house fairly satisfied with 2 adults and 2 teenagers. The kitchen was cramped and fast on the tight side. Unfortunately, the garden is very wet. Good to sit on the grass but could not. A pleasant stay with a child (13 years) and dog. Clean apartment, quiet area. As a starting point for many leisure activities suitable. Nice owners live in the house and are always approachable. Unfortunately, all dogs in the Salzburg region and probably also in other states, without exception, kept on a leash. Nice holiday home with large bedrooms and bathroom. Living and dining area is on the small side. The toilet door opens inwards clumsy. Also saw the cottage there care of. Further, the skis and boots dry and can be put away after a hard day's skiing make use of the sauna, for a fee. The cottage is situated in a quiet environment.